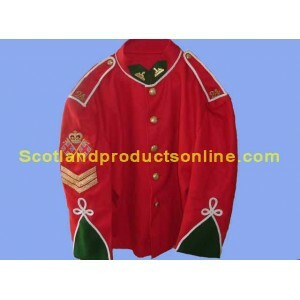 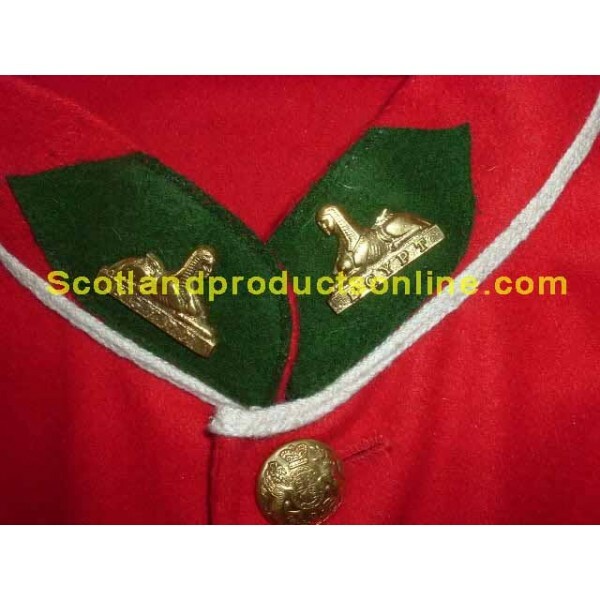 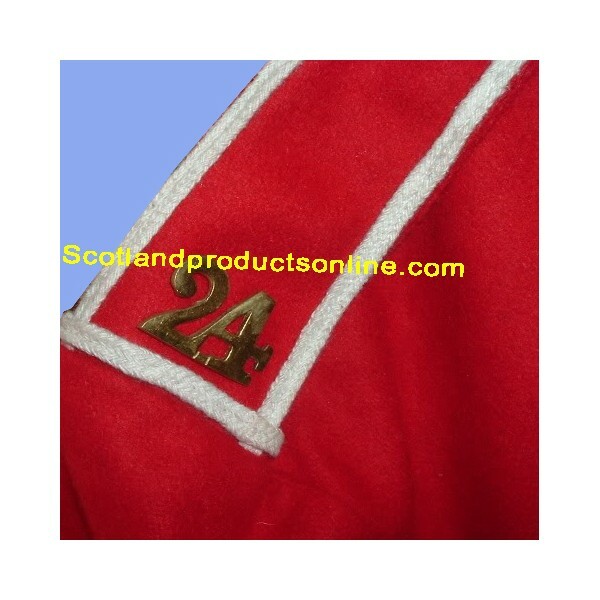 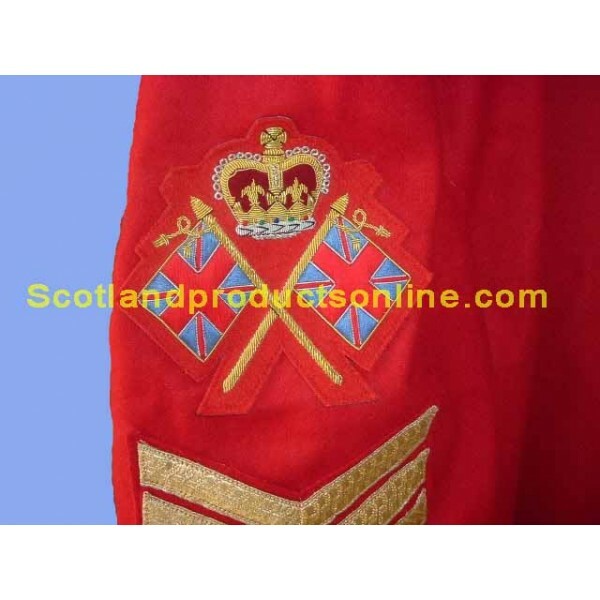 The 5 button tunic of the Zulu war uniform is made in red melton. 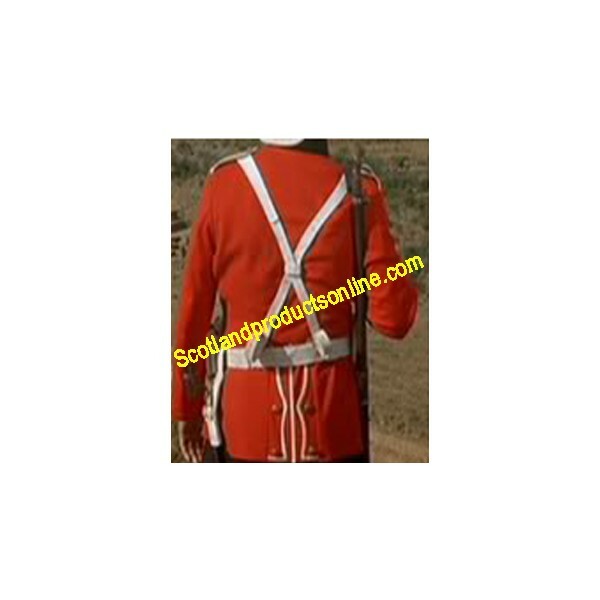 The Zulu war uniform tunic has arm of service stripes and badge. The Zulu war uniform tunic is custom tailoring.